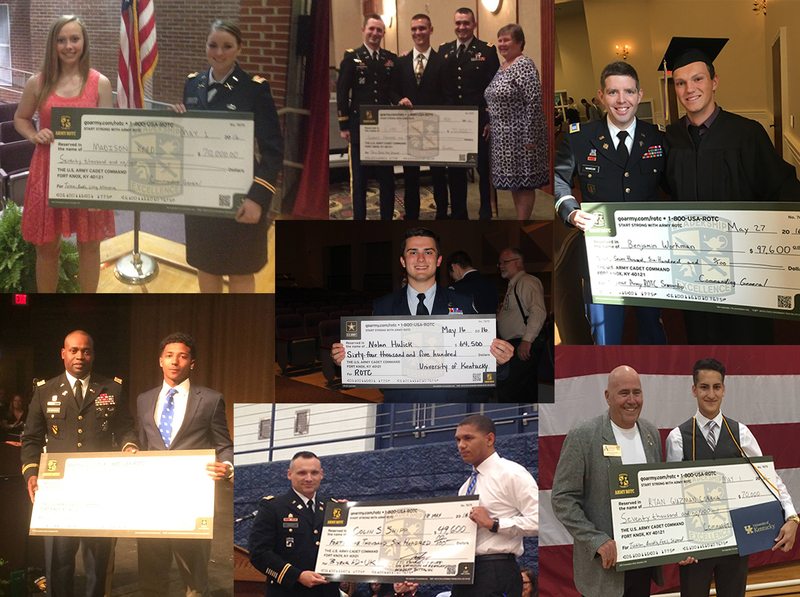 Army ROTC provides merit-based scholarships and other financial aid opportunities for college-bound high school students and students already attending the University of Kentucky. A monthly(10 months a year) "Living Allowance" that is tax free and increases each year. A feature unique to UK and our partnership schools is all four year Army ROTC scholarship recipients recieve free basic room and board. The Four-Year Scholarship is for high school students planning to attend a four-year college program or for those who have just begun college. Contact your high school academic advisor or campus Military Science department for more information. ​Selected Cadets may choose to serve part time in the Army Reseve or Army National Guard while pursuing a civilian career. The three-year scholarship is available for students already enrolled at UK with three academic years remaining. ​Selected Cadets may choose to serve part time in the Army Reserve or Army National Guard while pursuing a civilian career. The two-year scholarship is available for those who have two academic years remaining. Many students hope to combine a career in the private sector with service as an Officer in the Reserve components. For these individuals, The Guaranteed Reserve Forces Duty Scholarship presents an ideal opportunity. If selected for one of these scholarships, the student will be guaranteed placement into the Reserve Components upon becoming a Lieutenant. In this way, one can serve the nation as an Army Officer while still pursuing employment opportunities in the private sector of the economy. The Critical Language Incentive Pay program was established in 2008 to encourage Cadets to enroll in a language course considered critical by the Secretary of the Army. Cadets may earn up to $250/month for participating in the program. The Simultaneous Membership Program is for current Army Reserve or National Guard Soldiers who simultaneously participate in ROTC. The nursing scholarship is designed for students pursuing a degree in nursing. Students may apply for the scholarship their senior year in high school or any time after beginning college. The ROTC nursing scholarships are awarded to students demonstrating progress toward acceptance into a nursing program and to students accepted into the nursing program. Cadets with a ROTC nursing scholarship give priority to their nursing courses and rotations. 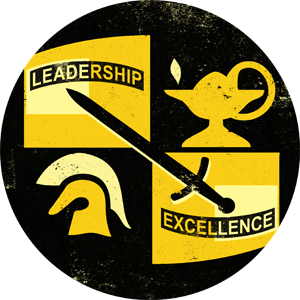 The ROTC Scholarship application is conveniently found online. If you are applying for a scholarship, you will first need to create a MY GOARMY account. Once you create an account, you will be sent to the MY GOARMY Log In page. Once you successfully login to MY GOARMY, you can use your newly created account information to login to the scholarship application page, at https://hs.usarmyrotc.com/dana-na/auth/url_9/welcome.cgi. The application deadline is 10 January. All application updates are required to be postmarked by 28 February. If you submit an application via the web, do not submit a hardcopy application as well. There are several components of the application. Aside from the online form, scholarship applicants are required to complete The ROTC Physical Fitness Assessment Scorecard as part of the High School application process. The assessment consists of three events: Sit-ups, Push Ups, and a One-Mile Run. Upon completion, forward to US Army Cadet Command G2 Incentive Division (FAX: 757-788-5781 or via e-mail to train2lead@usacc.army.mil). To contact the UK Army ROTC Recruiting Operations Officer, Mr. Allen Back, send an email to allen.back@uky.edu or call 859-257-6865.